The award from the American Academy of Motion Picture Arts and Sciences (Oscar) is a golden statuette of a naked man holding a sword standing on a reel of film with five spokes, each symbolizing one of the original five branches of the Academy: actors, writers, directors, producers, and technicians. 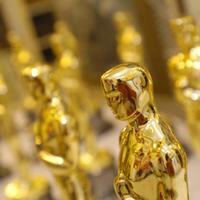 The statuette was created in 1928 by the art director of Metro Goldwyn Mayer (MGM), Cedric Gibbons. Since 1931 the statuette has been popularly known as Oscar, ever since Margaret Herrick exclaimed upon seeing the statue that it looked like her uncle Oscar. Here we have the list of actors that have been awarded the most Oscars.